Unlike VPN, where the content is routed through the VPN servers, with Tunlr users are able to stream directly from the blocked service with no intermediary servers in between, which means you can get faster download/streaming speeds that a VPN. What's great about this service is it is totally FREE. How Does Tunlr Work? Tunlr uses two main components - a DNS server and a collection of proxies located in different countries. When your computer sends a DNS query for a blocked website, for example, hulu.com, instead Hulu’s real IP address, the Tunlr DNS server returns the IP addresses of a proxy server operated by Tunlr in the US. In order not to overwhelm their DNS servers with request, Tunlr strongly recommends that you switch to their DNS servers only when required to access the blocked services. Press the Win + R keyboard combination, then type ncpa.cpl into the run box and hit enter. 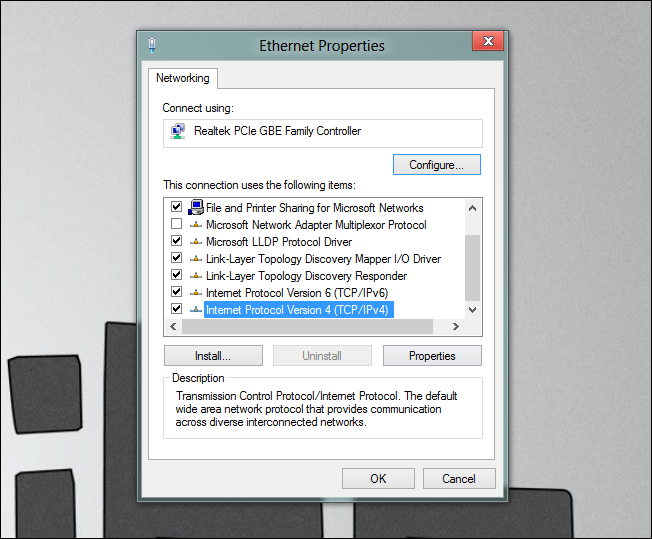 Then right-click on your current network adapter and choose properties from the context menu. 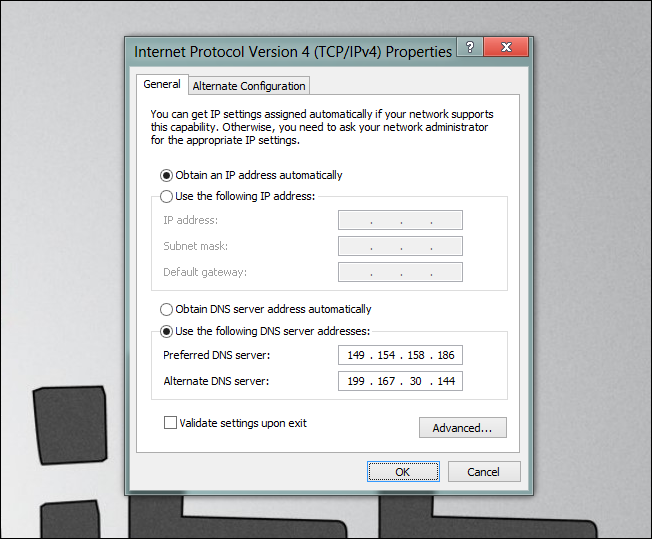 When the properties dialog opens, scroll down and choose Internet Protocol Version 4 (TCP/IPv4), then click the properties button. Click OK, and then browse away. When you are done browsing the restricted sites, you should change your DNS settings back to what they were before you changed them.